For Better User Experience Please Use Portrait Mode. Azim Premji, a graduate in Electrical Engineering from Stanford University, USA has been at the helm of Wipro Limited since the late 1960’s, turning what was then a $2 million hydrogenated cooking fat company into close to $ 8.5 billion Revenue IT, BPO and R&D Services organization with a presence in 58 countries, that it is today. 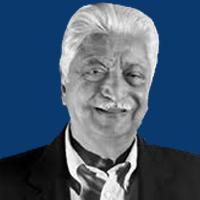 Premji has been driven by one basic idea – to build an organization deeply committed to Values, with the firm belief that success in business eventually but inevitably follows. Unflinching commitment to Values continues to remain at the core of Wipro. Premji strongly believes that ordinary people are capable of extraordinary things when organized into highly charged teams, and takes keen personal interest in developing leaders and teams. Wipro’s business success has been driven by keeping the client at the core of everything it does. Combining its deep expertise in technology with an equally clear understanding of client industries, Wipro attempts to deliver business value to its clients consistently. This consistency is driven by its pioneering efforts in service quality and predictability, through methodologies like Six Sigma, PCMM and Lean. The underlying tenets that drive this overall culture are that of speed, simplicity and excellence. Premji firmly believes that business organizations have a social responsibility not only to employ ethical, fair and ecologically sensitive business practices but also to actively engage with fundamental societal issues. "Wipro Applying Thought in Schools" (in India) and "Wipro STEM Fellowships" (in the US) are initiatives deeply involved in trying to improve quality of school education, while the "Wipro Cares" program engages with local community causes. Mission 10X works to improve quality of engineering college education. In 2001, Premji established and personally endowed the Azim Premji Foundation, a not-for-profit organization, with a vision of enhancing quality and equity in the public school education system in India, to build a better society. The Azim Premji Foundation works in 7 states of India which have over 350,000 schools. In 2011, the Foundation established the Azim Premji University, which is focused on teaching and research programs in Education and other areas of Human Development. Azim Premji Philanthropic Initiatives supports not-for-profits, through financial grants, which work in in areas complementing education, such as nutrition, local governance, and well-being of vulnerable groups. Over the years, Azim Premji has received numerous honors and accolades, which he considers as recognitions for Team Wipro. BusinessWeek featured him on their cover of the October 2003 issue with the sobriquet "India’s Tech King" and listed him amongst the top 30 entrepreneurs in world history in July 2007. In October 2005, Financial Times included him in a global list of 25 people "dramatically reshaping the way people live, work or think". Time listed him amongst the world’s 100 most influential people in April 2004 and in April 2011, citing his contribution to improving the public education system in India. He was named by Fortune (August 2003) as one of the 25 most powerful business leaders outside the US, by Forbes (March 2003) as one of ten people globally with most "power to effect change", and by the Journal of Foreign Policy (November 2011) as amongst the top global thinkers. Premji became the first Indian recipient of the Faraday Medal and has been conferred honorary doctorates by the Michigan State University and Wesleyan University (in the US), Indian Institute of Technology Bombay, Roorkee and Kharagpur amongst others. The Republic of France bestowed upon him the "Legion of Honor" and Forbes India honored him with its inaugural "Outstanding Philanthropist of the Year’ award in November 2012. He was conferred in January 2011 with Padma Vibhushan, the second highest civilian award in India. In September 2013 Premji received All India Management Association "Managing India Award" for his inspiring business values and his contribution to society. He was honored with the Asian Business Leaders Award by Asia House (UK) in October 2013. In December 2013, Economic Times bestowed Mr. Premji with Life Time Achievement Award. The Carnegie Medal of Philanthropy was bestowed on him in 2017, hailing the "conscience, integrity, and compassion that have guided his visionary giving……. (with) invaluable benefit to both that nation and to the world."